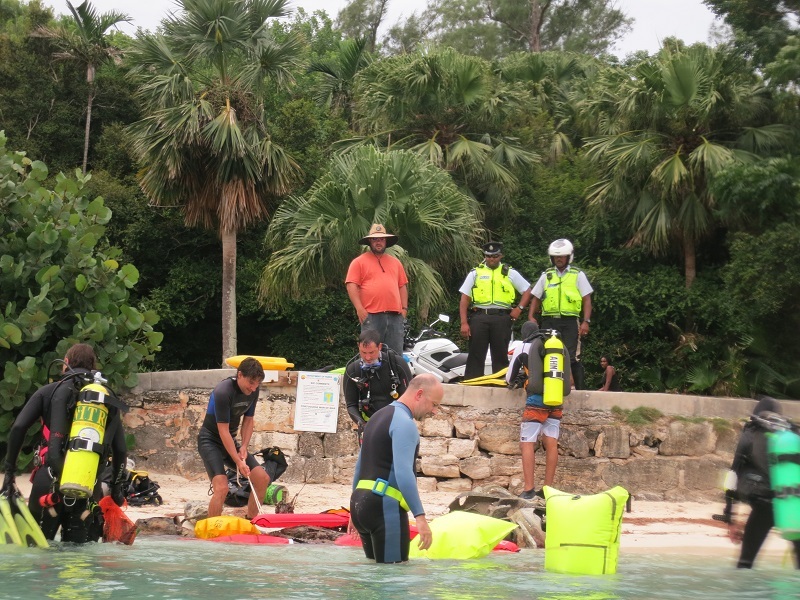 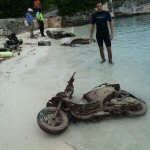 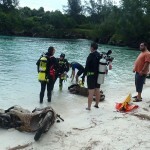 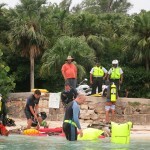 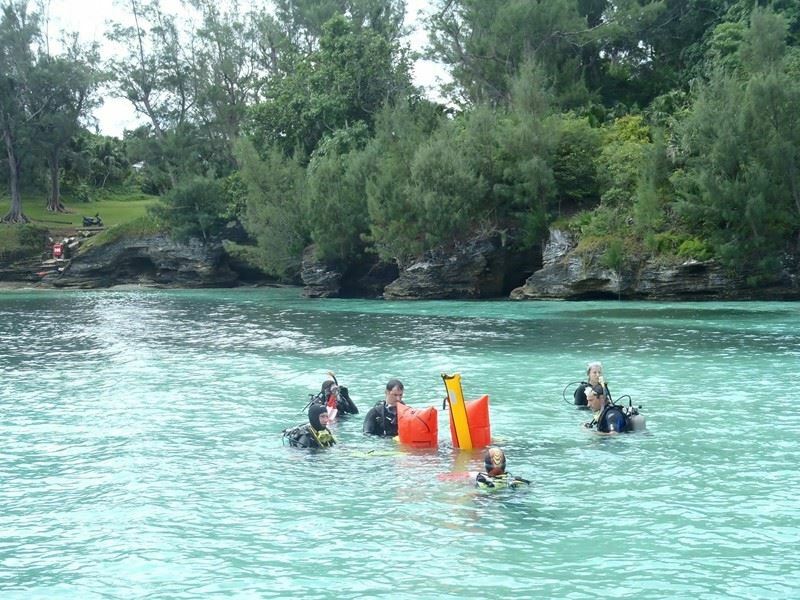 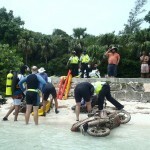 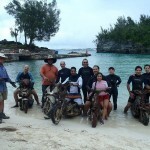 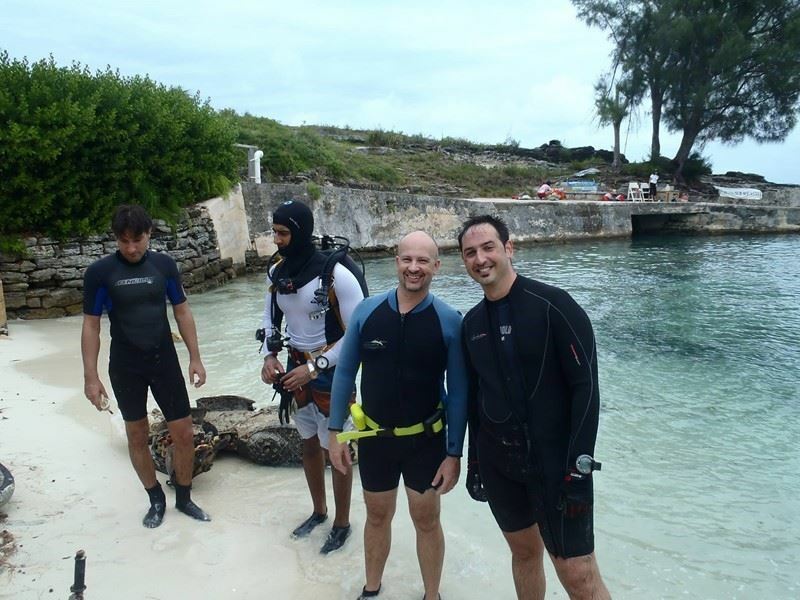 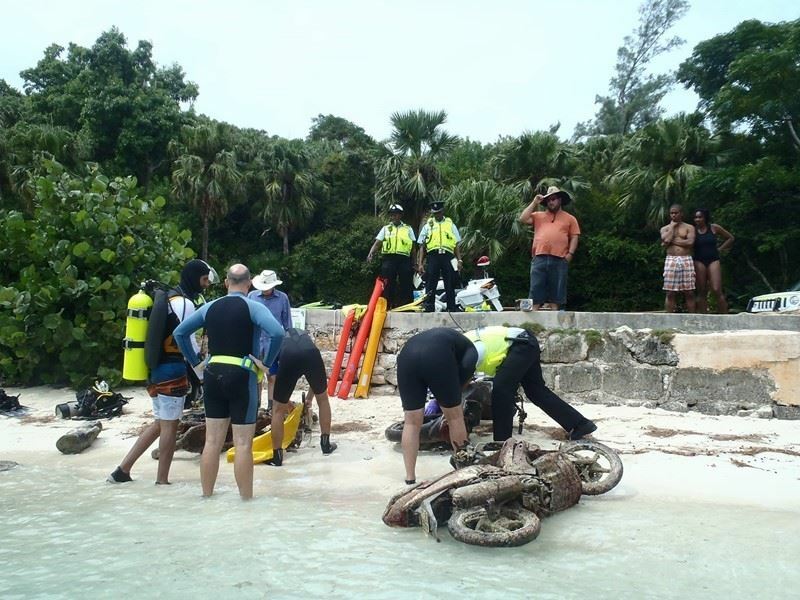 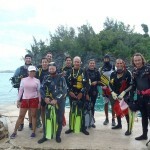 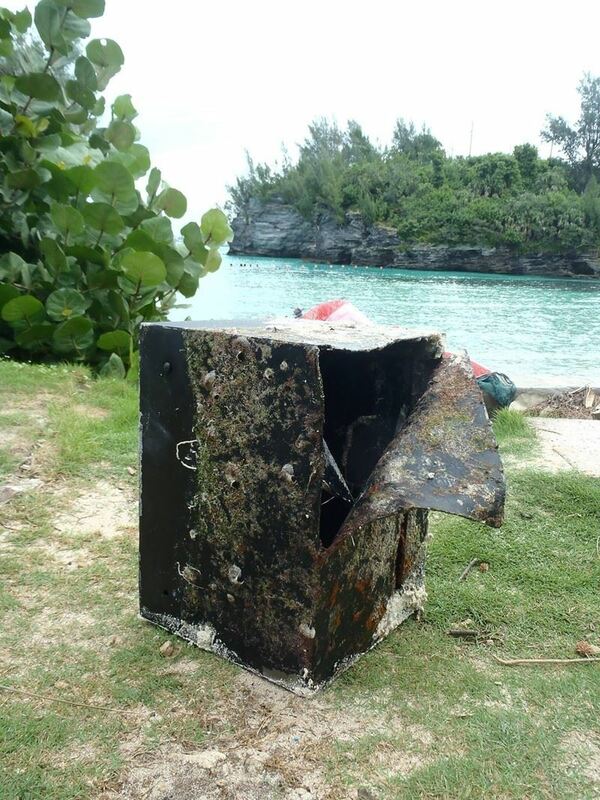 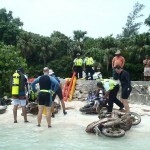 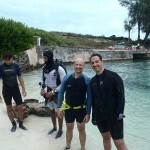 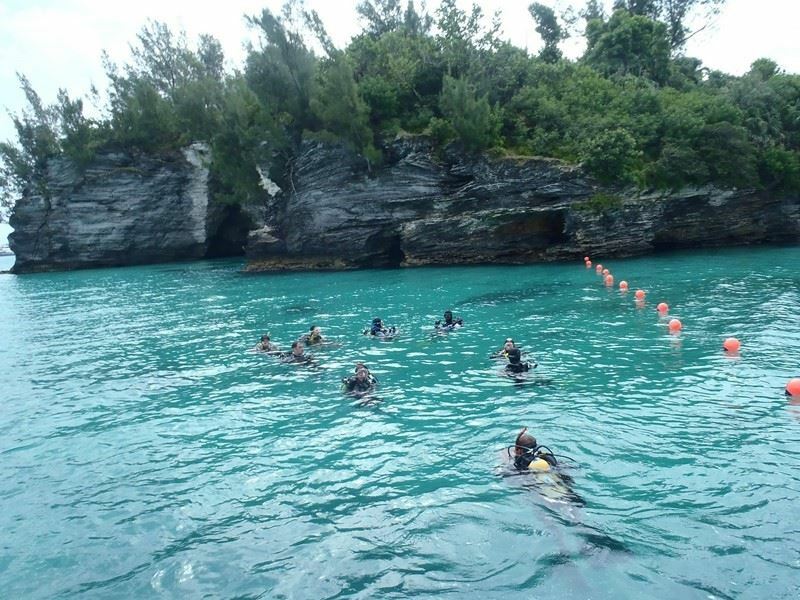 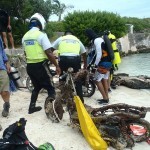 Members of the Bermuda Sub-Aqua Club [BSAC] were taking part in the annual Keep Bermuda Beautiful EY Coastal Clean Up on Saturday [Sept 19] when they recovered a safe and five motorcycles from the seabed at Clarence Cove in Admiralty Park. 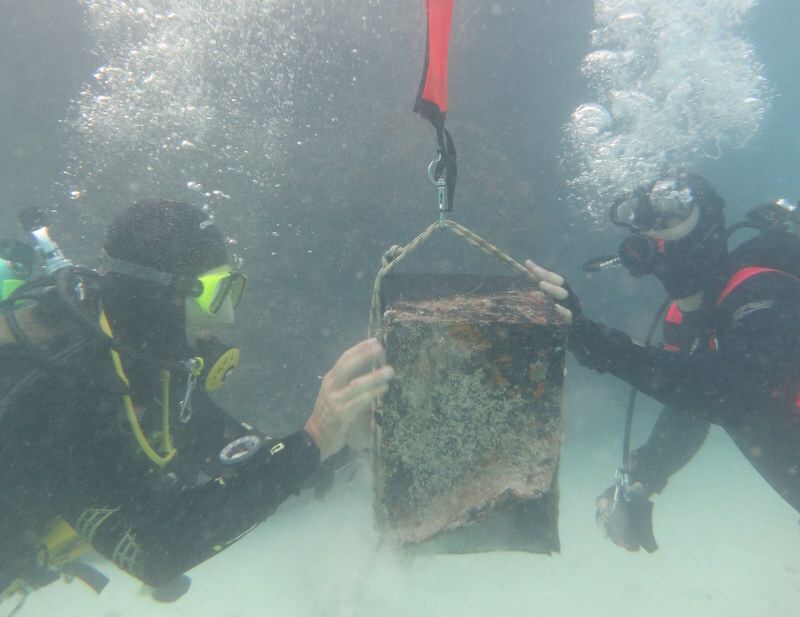 BSAC had 10 divers and 5 shore crew taking part in the event and used old onion bags instead of the usual trash bags to collect the range of plastics, glass, fishing line and tyres dumped or washed-up on the sea bed. 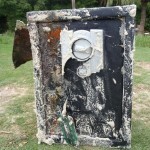 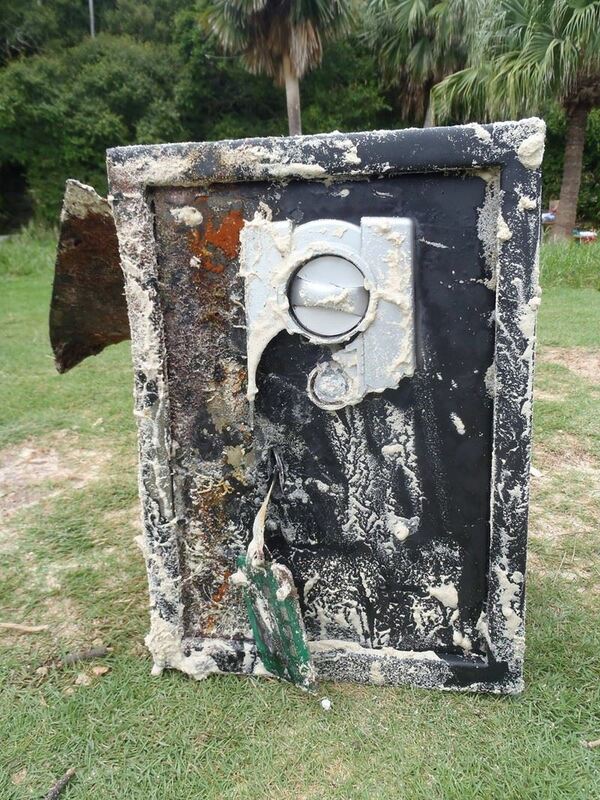 However, it was the discovery of a safe just below the cliffs which raised suspicions and lead to police coming to inspect several objects. 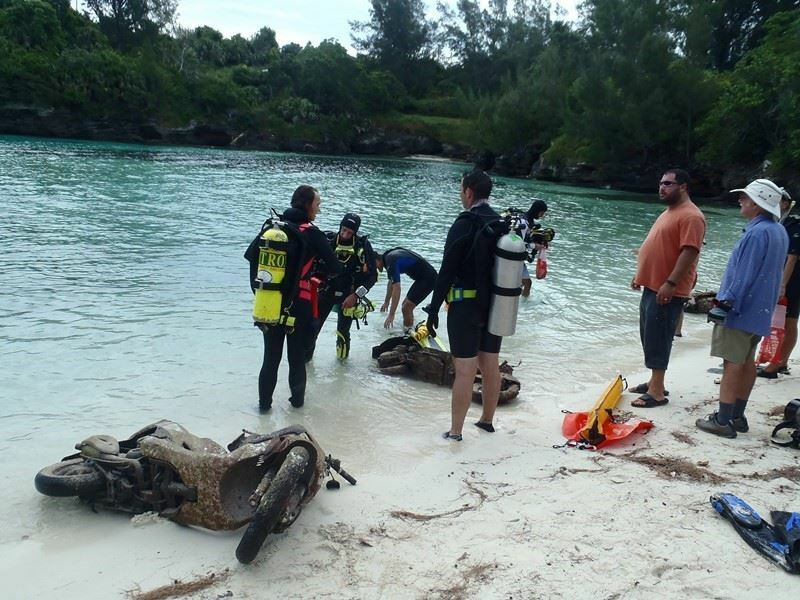 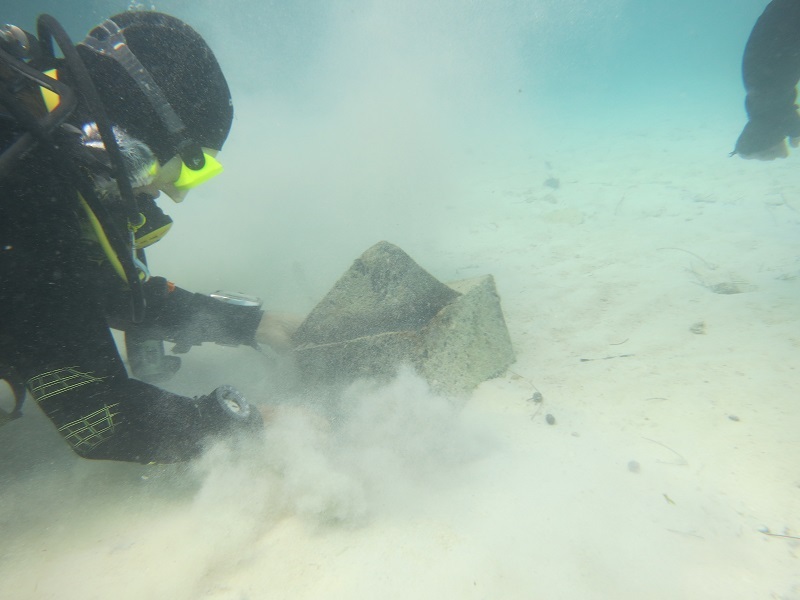 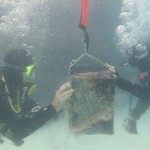 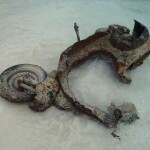 The object was discovered by Dirk and Heike Lehman, a visiting couple from Germany who got married on the island last week, who joined the BSAC group while they were vacationing on the island. 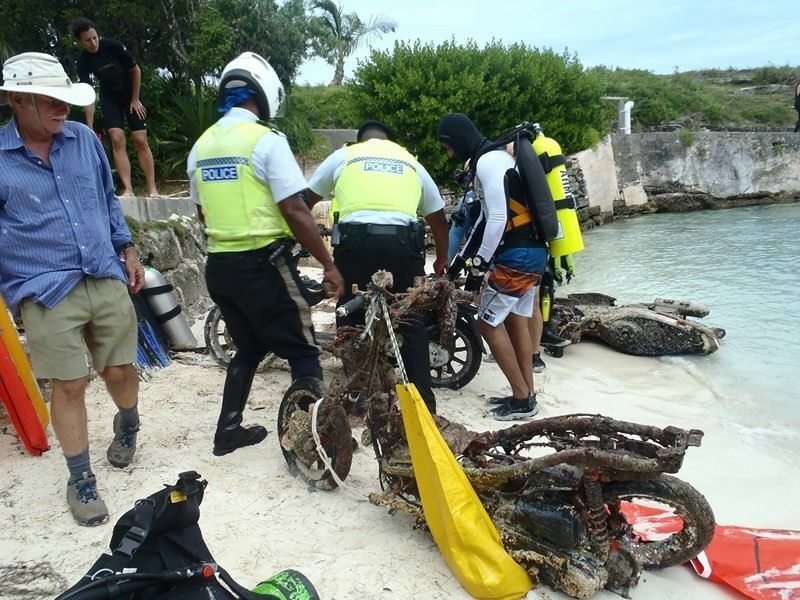 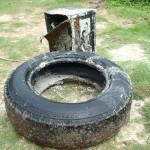 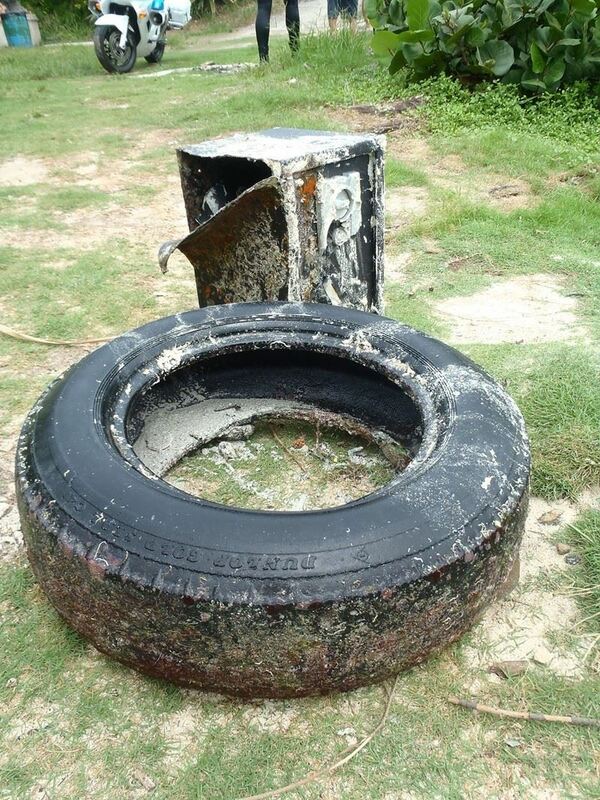 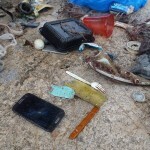 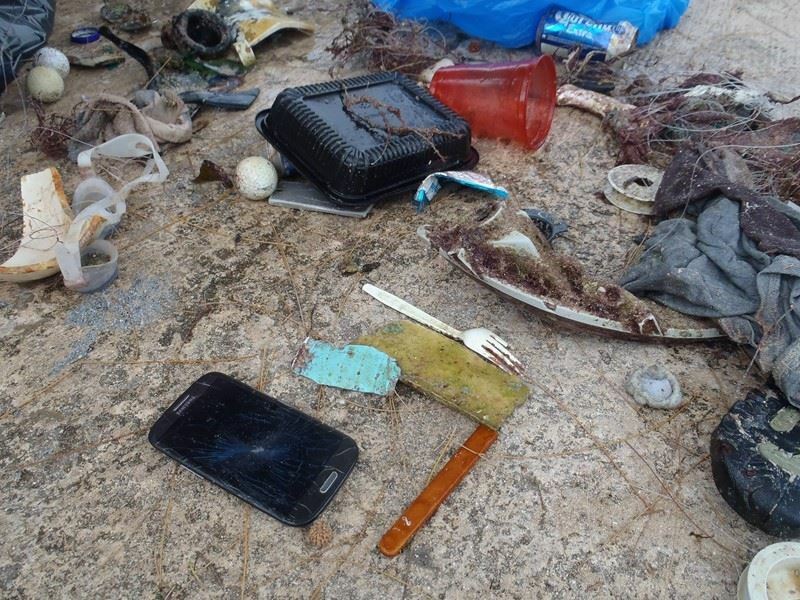 “It was really good of them to join in cleaning up the island we love so much only a couple of days after they were married, but I don’t think they expected to be involved with crime fighting too,” BSAC noted. 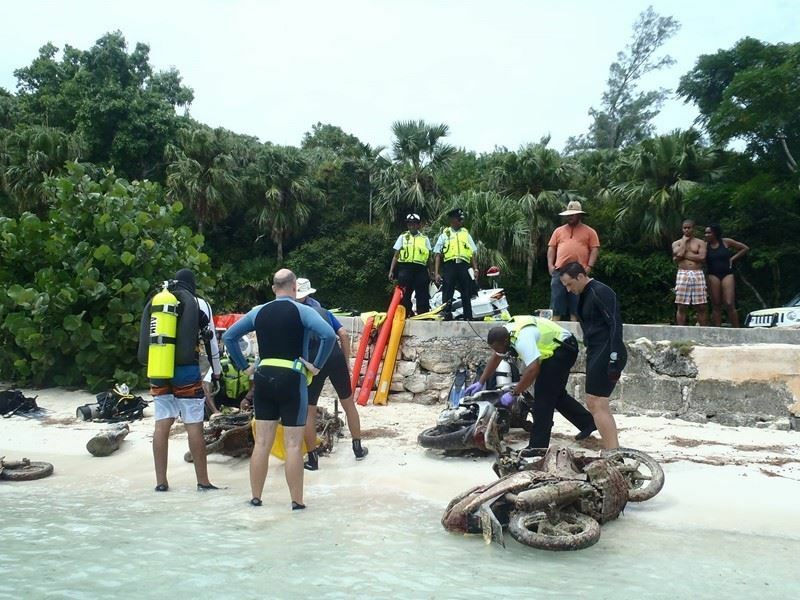 It took some co-ordination and effort to lift the safe and five bikes from the seabed and drag them up the beach and over the wall for inspection by Police. 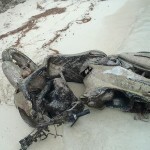 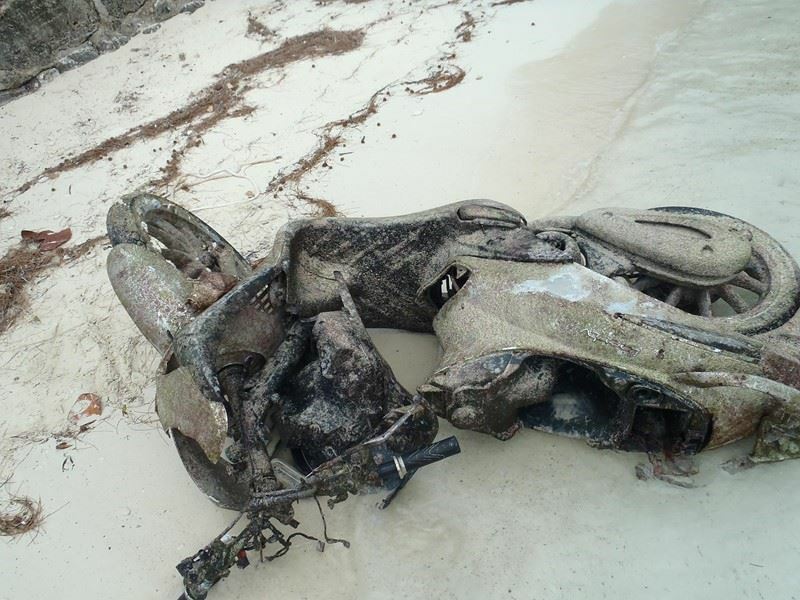 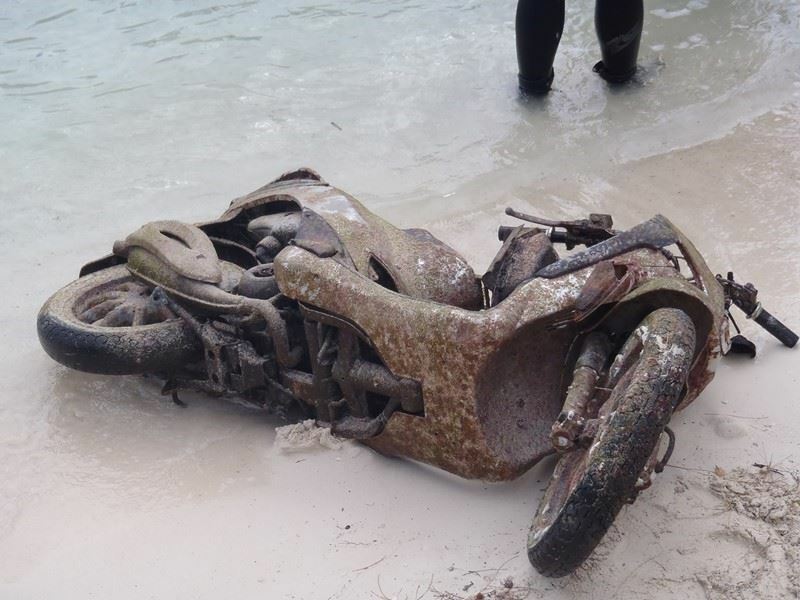 One of the recovered bikes was identified as stolen in 2010, and the discovery of the motorcycles caused BSAC Diving Officer, Warren De Klerk, to joke that perhaps the club could advertise ‘used moped, slight water damage, may need some work. 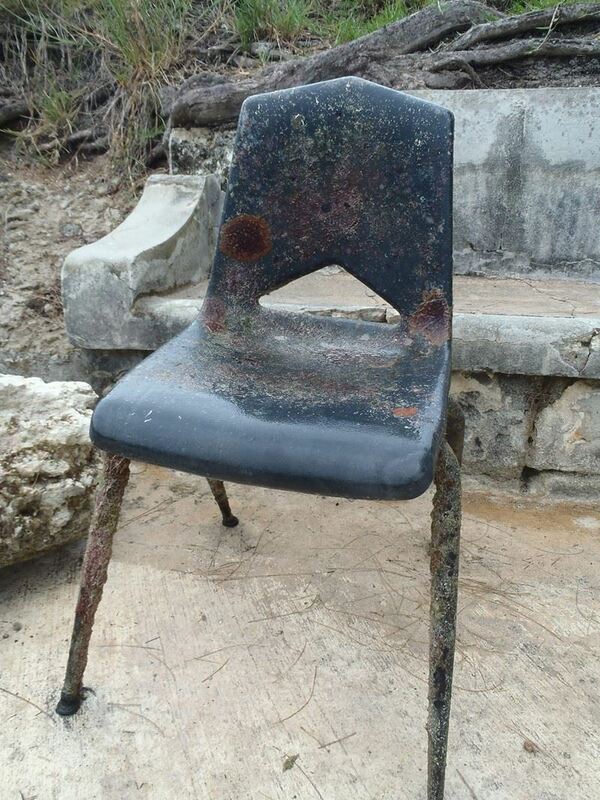 Restorers dream project’. 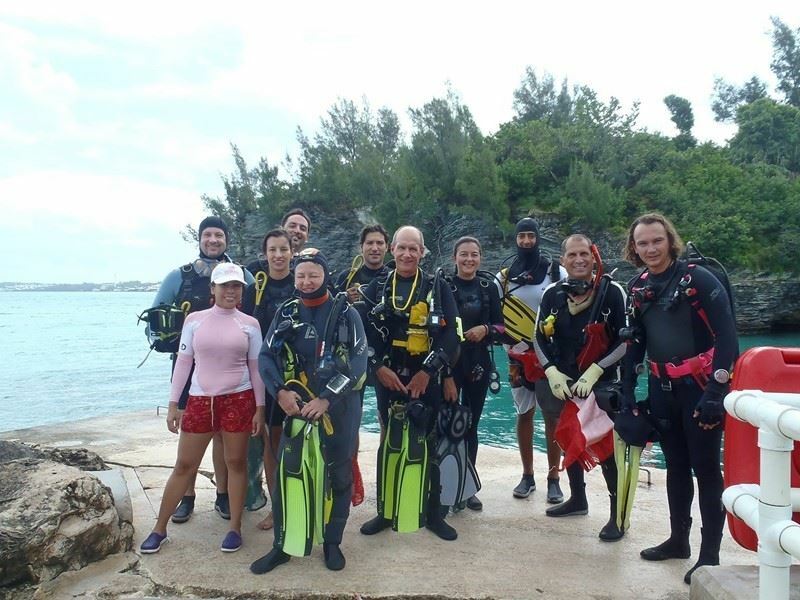 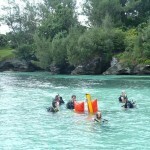 The club meets in the pink house at the entrance to Admiralty Park on Wednesdays from 7:30pm and always welcomes new members – whether or not they are divers. 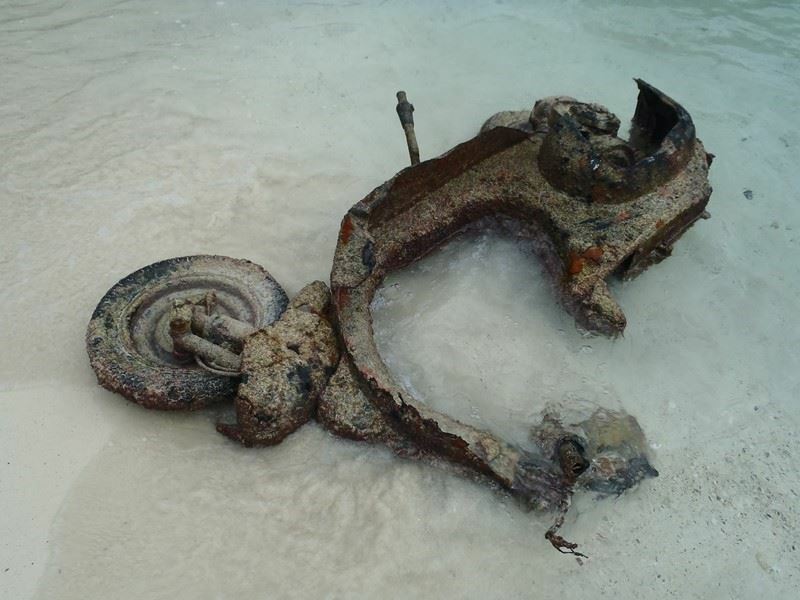 No wonder I couldnt find my vespa scooter. 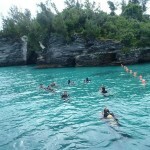 And there goes Mr. doom and gloom.. Bermuda has a population of these things called people.. With people come what you see here. 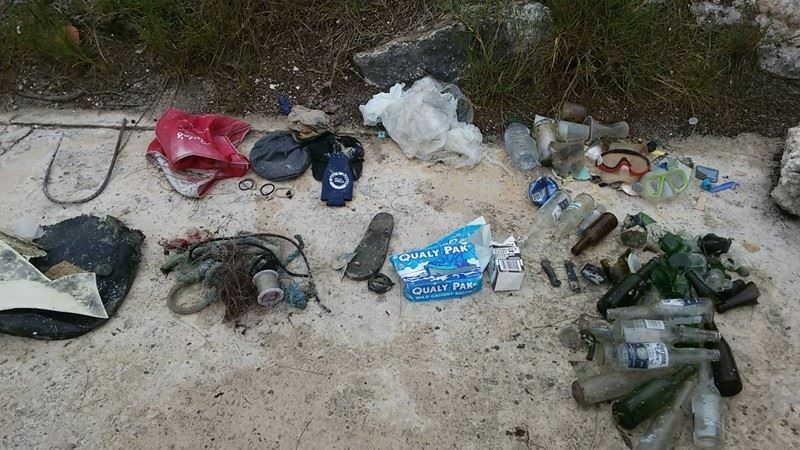 Can we do better? 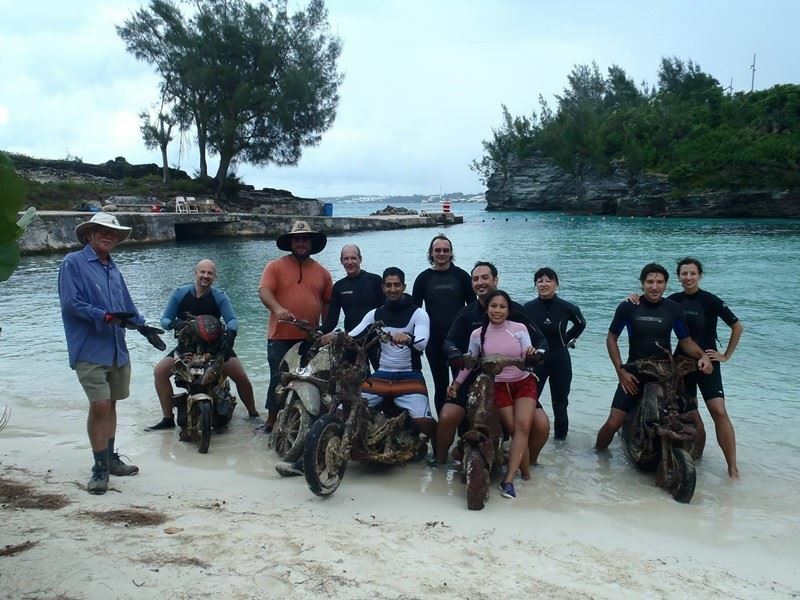 Of course we can. 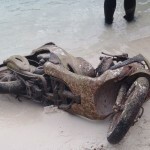 Will it ever be spotless? 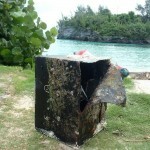 Nope, but it’s still managed much better than almost every country on earth. 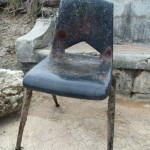 Education is important, and so are enforcing litter laws. 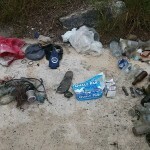 So is teaching your kids why it is wrong to litter. 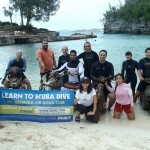 WELL DONE BSAC! 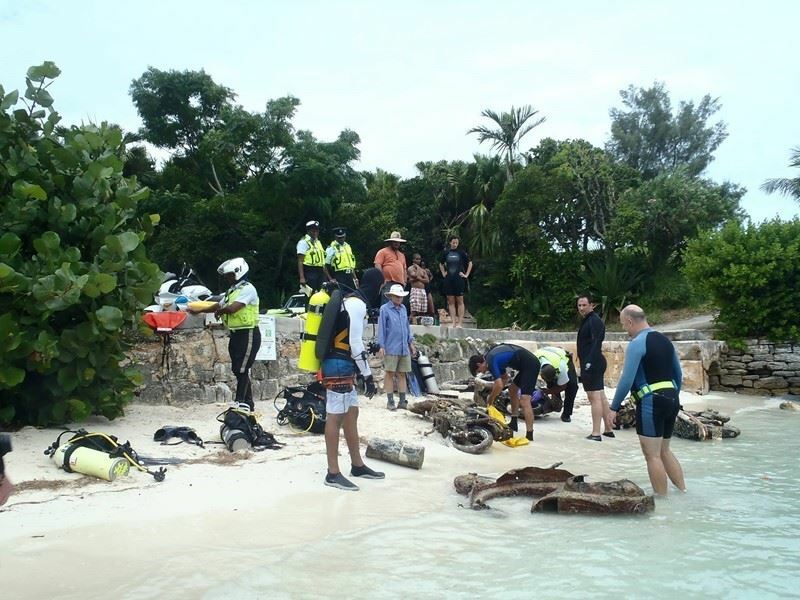 And what a wonderful story about the honeymooners who helped out! 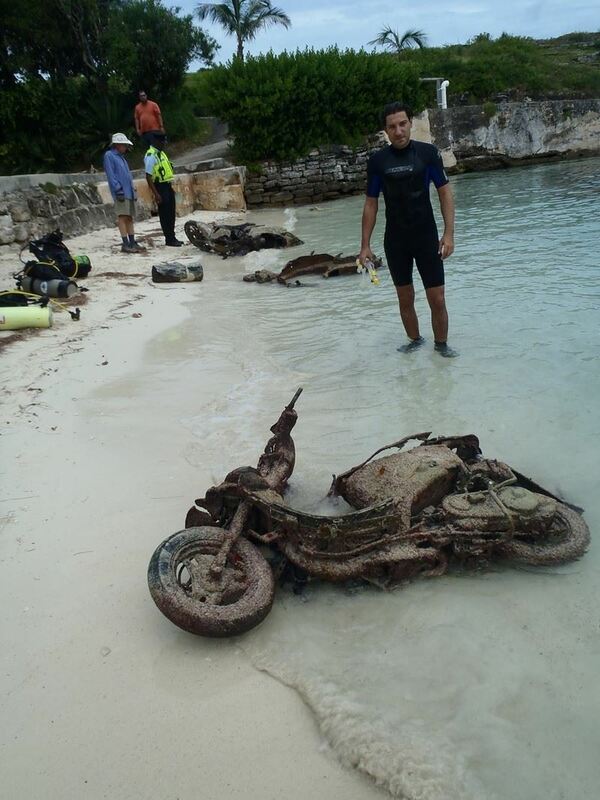 I bet the owners of those bikes had fun driving them off the cliffs LOL. 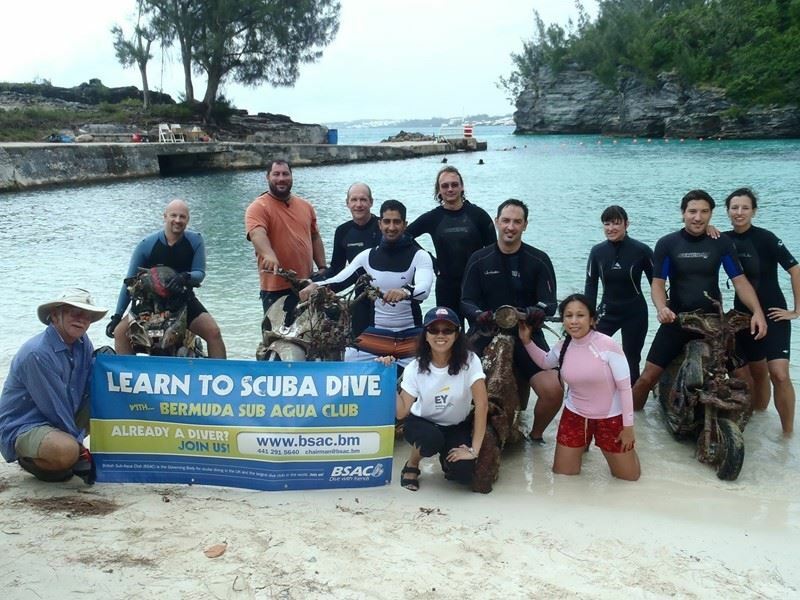 Can`t say enough to BSAC for what they do. 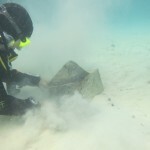 Thank you ,thank you ,thank you!